Norwegian mathematician, physicist, economist and government minister. Born in Fredrikstad in Ostfold, Norway. 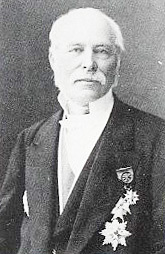 He was the son of military commissar Johan Jørgen Brock. He studied at Kristiansand Cathedral School and showed talent for mathematics at an early age. After graduation, Brock continued his studies at the institute in Christiania (now Oslo), and then at the University of Christiania (now University of Oslo). He also traveled abroad for research in Paris, Berlin and Königsberg, during which he developed an interest in optics and statistics. Back in Norway, in 1843, Brock, along with his friend and colleague Hartwig Nissen, founded the Hartwig Nissen Skole school in which special attention was to be paid to the natural sciences and modern languages. After finishing his doctoral studies in 1847, he returned to the post at the university, from which he went to work with Nissen. Brock taught at the Military Academy, and in 1847 founded the insurance company, which was the first life insurance company in Scandinavia. Broch entered politics as a local politician in Christiania, and in the period 1862-1869 he represented the city in the Storting. In 1869, he was appointed Minister of the Navy in the first office of Frederick Stangh. After serving as a member of the State Council division in Stockholm in 1871–1872, he briefly returned as Minister of the Navy. Brock resigned due to disagreements with colleagues about ministerial access to parliament. After that, his attention shifted to international tasks. In 1879, he became a member, and in 1883, director of the International Bureau of Weights and Measures in Sevres, France. This work occupied most of Brock’s remaining life, but in 1884 he was recalled to Norway to form a government. The constitutional crisis that caused the fall of the so-called April Ministry of Christian Homann Schweig, led to the demand of the new Prime Minister. 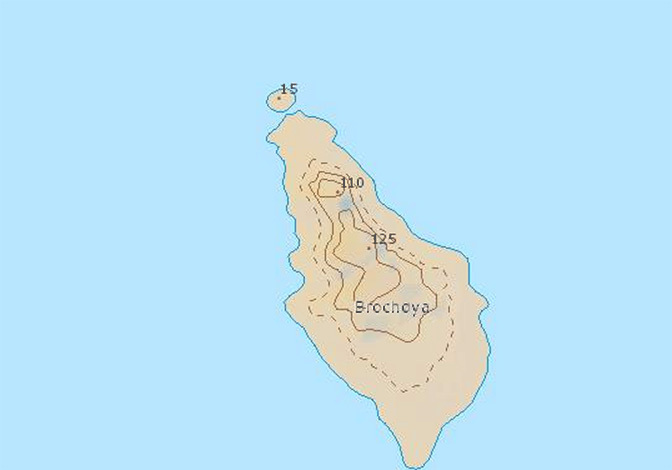 Broch failed in this attempt and returned to France, where he died several years later. He was buried in the var Frelsers gravlund in Oslo. A small island northeast of the island of Northeastern Land, Spitsbergen. The coordinates are 80° 20'N 26° 00'E.